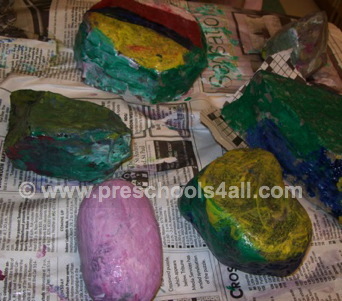 Pet rocks are authentic, beautiful and simple. You can name them, display them or use them as a paper weight. 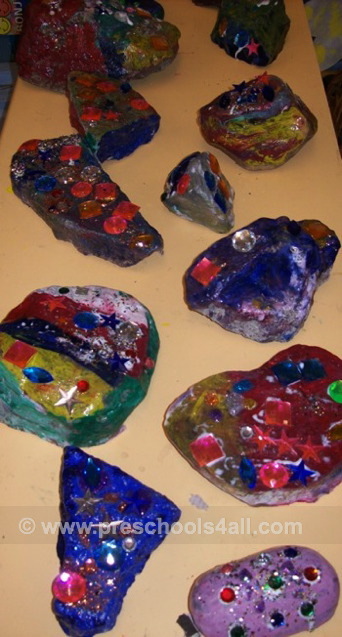 This year for Father's Day we created Gem Rocks or Treasure Rocks. 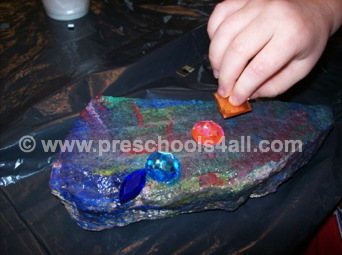 After we painted the rocks we added gems, sparkles and glitter paint. The fathers loved their new pet so much it now decorates their office desks and night tables. 3. Wait for the paint to dry. 4. Draw eyes, mouth and nose with a permanent marker. 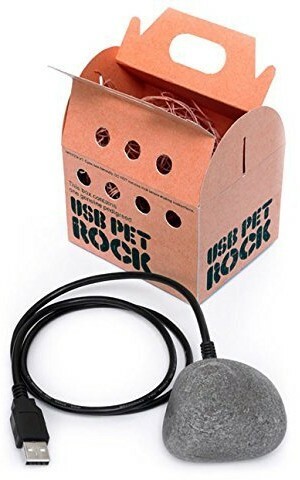 "What will make the perfect pet?" He thought. And so the story goes that jokingly he suggested a rock as a pet. After all, a rock does not require any of your attention, it's cheap and will never die. Soon after Dahl began to take his 'joke' seriously and turned a rock into a pet. 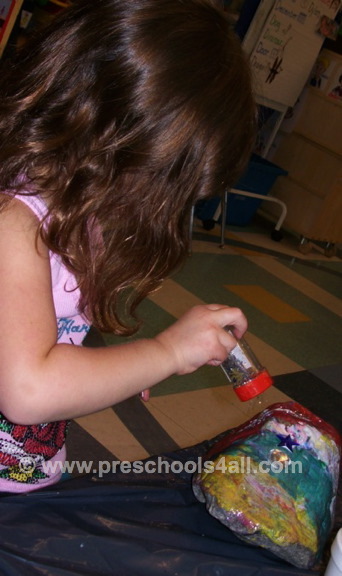 The new pet came along with a cleverly written "instruction manual" and in a box with holes just like a real pet. Like any good advertising executive Dahl began selling these 'pets' and people were buying them. This fab lasted for about six months... long enough to make Dahl a millionaire!